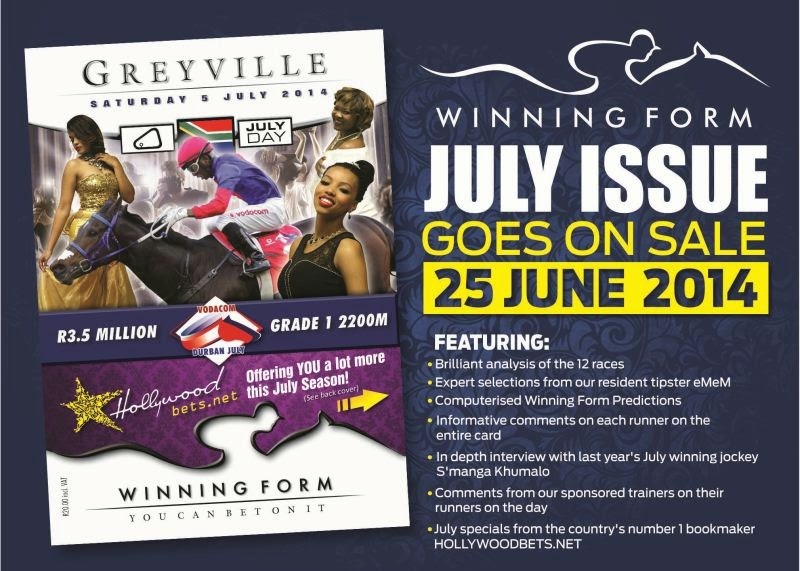 Winning Form brings you their best tips for Vaal's racing on Thursday the 12th of June. Comments, betting and images are provided! 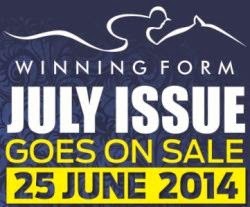 Tips provided come from Winning Form, as well as their back page tipster - Magic Tips by eMeM. A few of the 11 runners on display have shown some useful form, but none more so than the likely favourite JAY RIVER from the Alec Laird stable. This daughter of Jay Peg has come a long way since her moderate debut and she has finished runner-up in her last two starts. She did extremely well under the circumstances, when poorly drawn over this trip on the inside course, four weeks ago. The filly made up good ground in the home straight and finished runner-up behind a promising first-timer, but more importantly ahead of the odds-on favourite. She was runner-up over this c & d in her penultimate run and can make amends. GABRIEL, just like his red-hot stable, has shown very good form over the past few weeks. He has adopt- ed frontrunning tactics to good effect in his last two starts. the son of Spanish Harlem went hard up front in a strong field last time but still stayed on strongly for a very creditable runner-up spot. That form was franked when the 4th placed runner easily won his next start, a mere three days later. The Erasmus inmate has finally cracked a good draw and he should take a power of beating in this field. Having said that, he takes on a highly promising juvenile from the Mike de Kock yard in the form of ENAAD. THE MUTINEER continues his love-affair with the Vaal straight and he has come back to his level-best in his last two starts. He eventually got his five pound penalty for his good win in his penultimate start and was then outrun late over a mile, a mere five days later. The runner-up of that last run NOBLE STAR, gave the form a lift when winning subsequently but the top rating is now 2kgs better off with that rival for the one length beating. Also, the drop to seven furlongs will suit the top rating and he should go very well with his regular pilot. SHADOW OFHIS SMILE has shown loads of potential but put in some poor performances before his big last effort. He challenged strongly in finishing a close 3rd behind two top quality sprinters over this c & d in that last effort. That form was then given a nice boost when the runner-up finished 3rd in a Grade 1 in his next start. This son of Western Winter will be fitter today and he should go close in this handicap. This is another very competitive event and caution must be exercised. BURLESQUE showed some signs of life when she only weakened late over ten furlongs on this course, recently. This shorter trip will be right up the daughter of Kahal's alley and she should have more to come in this similar field. Intere- stingly, she meets today's likely big danger DALALAAT on 7kgs better weight terms for a 4.75 length defeat over seven furlongs on this course in early February. Moreover, the top rating is proven over this trip.